Weekly Round-Up: Jessica Williams Shares How J.K. Rowling Created Her ‘Fantastic Beasts’ Character, Emma Thompson Made a Dame, & More! This week has been riddled with exciting announcements in the wizarding world! We received the announcement that there will be three Fantastic Beasts: The Crimes of Grindelwald premieres (one for each city in the film: London, New York and Paris), and Lumos launched a campaign offering the chance to attend one of them, as well as other brilliant prizes. LeakyCon announced Devon Murray (Seamus Finnigan) as their latest special guest, Daniel Radcliffe’s new role in Broadway’s The Lifespan of a Fact was revealed, the first Crimes trailer won Best Fantastic/Adventure movie preview at the Golden Trailer Awards, Bloomsbury announced a weekly 20th anniversary of Chamber of Secrets house-themed competition, new Fantastic Beasts LEGO previews were unveiled, and The Protego Foundation launched their Vegan Butterbeer campaign with support from Evanna Lynch (Luna Lovegood) and Robbie Jarvis (Young James Potter). USAopoly also shared plans to release two new wizarding world board games (more trivia, hurrah!). 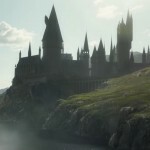 As if that wasn’t enough, this week’s round-up is full of stories from each corner of the wizarding world, from Jessica Williams sharing her experience being cast by J.K. Rowling in Fantastic Beasts: The Crimes of Grindelwald (and their shared love of The Sims), to Emma Thompson being made a Dame, and Ezra Miller’s possible role as the leading man (basically a wizard) in David Heyman’s Willy Wonka reboot. Keep reading for more details! What do you think they were filming at this point? What’s with the injury? Could it be an Auror intervention to do with Newt’s beasts, or something more Grindelwald related? Let us know your ideas! It’s any Potter fan’s dream to have her experience, but to get all this decades on from when the journey first began must be overwhelming! “Jo flew down to make sure I was okay with how my character appeared,” says Williams. 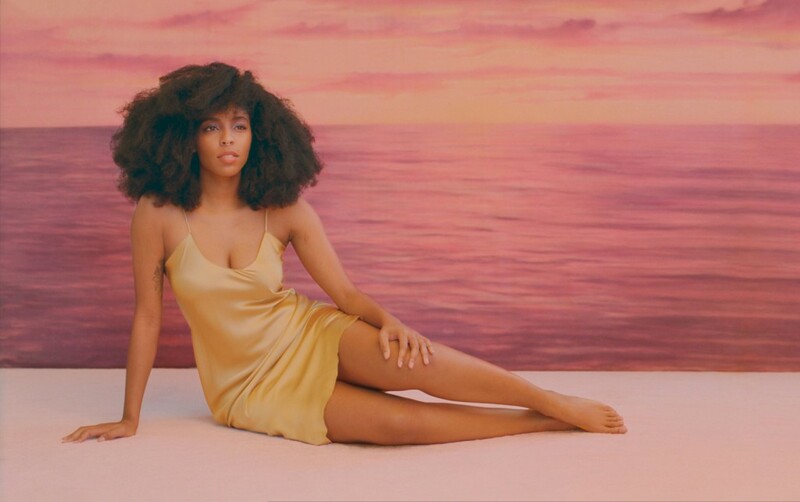 “She wanted to give me autonomy as a woman and also as a black woman. That’s incredible on such a massive production. She wanted my character to look the way that I felt like this character should look. “The night before I shot, she sent me this Word document and it was nine pages. She was like, ‘I’m supposed to be working on my book deadline, but instead I’ve spent all day writing this and anyway, I hope you enjoy.’ It was this very thorough background on my character. I didn’t really need it, but she spent so much of her personal time writing it for me. A lot of the lore of my character ties to my personal history. She gave me all this cool information and did it just because she wanted to. That to me is so representative of her heart. I could have never imagined at nine years old that I would be able to get this document from her. It’s part of lore, it’s canon. Read the full interview here, and try to take in the fact that J.K. Rowling is also obsessed with The Sims and Rollercoaster Tycoon. Watch our interview with Jessica Willims at the Broadway Cursed Child premiere here. Emma Thompson Receives Queens Honours & Made a Dame! One of Britain’s most acclaimed actresses, who is best known to the Potter fandom as Divination Professor Sybill Trelawney, has been made a dame in the Queen’s most recent birthday honours list. Thompson, who has appeared in dozens of film, television and stage roles, including three Harry Potter films; Prisoner of Azkaban, Order of the Phoenix and Deathly Hallows Part 2, was recognized for her contribution to the arts, as well as her work as a humanitarian and environmentalist. Congratulation to Dame Emma Thompson on this well-earned distinction! Bonham Carter is also being eyed as the villain in the next James Bond film opposite Daniel Craig. What Potter fan can’t see her in that role? Ocean’s 8 opened at US theaters nationwide June 8 and heads to the UK on June 18. Sean Biggerstaff, best known to Potter fans as Gryffindor Quidditch Captain Oliver Wood, plays Noah, the companion to the Time Lord’s daughter Jenny in the Big Finish audio drama, Jenny–The Doctor’s Daughter. The four-episode Doctor Who audio spinoff starring Georgia Tennant, wife of Harry Potter’s Barty Crouch, Jr and Doctor Who’s tenth Doctor, David Tennant, was released earlier this week. Tennant reprises her 2008 one-off role as the Doctor’s daughter this time with Biggerstaff’s Noah along for the ride. Natalia Tena, Harry Potter’s beloved auror Nymphadora Tonks, is busy with projects in media of all forms lately. Aside from filming the YouTube sci-fi series Origin with Potter alum Tom Felton, Tena accepted an award for Best Performance for her role in the film Anchor and Hope at the Transilvania International Film Festival last week.Tena, who played the role of Osha in HBO’s Game of Thrones and also heads up the accordion band Molotov Jukebox, is applying her musical talent to a cast pop album inspired by the series, which will come to an end in 2019. Definitely something to look forward to for Game of Thrones fans sad to see their favorite series go. Congratulations to Natalia Tena on her award and we can’t wait to see her in Origin with our favorite Sytherin! Ezra Miller is on the rumoured cast list for the new Warner Bros Willy Wonka movie, which will be produced by Harry Potter / Fantastic Beasts producer, David Heyman. Other names include Ryan Gosling, and Donald Glover for the role of the legendary quirky and charismatic chocolate factory creator originating in Roald Dahl’s children’s books. Heyman is currently working on both Fantastic Beasts and 2019 Tarantino collab Once Upon a Time in Hollywood, which we previously reported on here. After lending her voice to The Protego Foundation’s recent Vegan Butterbeer campaign, Harry Potter star Evanna Lynch is raising awareness of yet another animal rights issue – this time the dog and cat meat trade in Asia. She’s joined forces with Human Society International (HSI) to spread the word about stolen pets and brutal murders of animals to serve the meat trade. Watch the video below to find out more, and listen to the latest episode of her vegan podcast, The Chickpeeps, here. 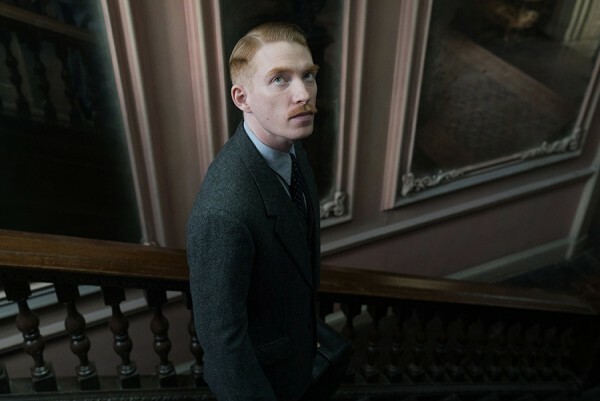 As previously reported by Leaky, Domhnall Gleeson will star in Room director Lenny Abrahamson’s ghost story debut, based on the novel by Sarah Waters. 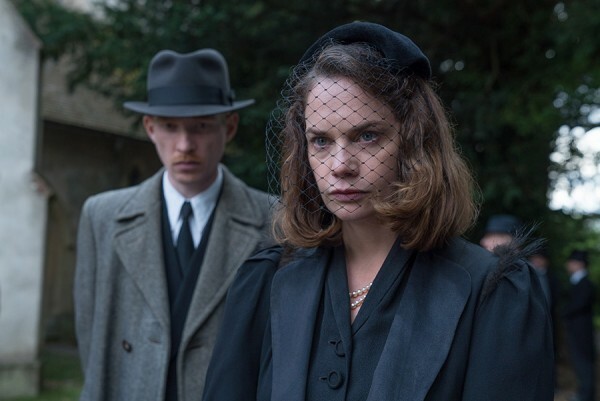 The film will tell the story of Dr Faraday (Gleeson) in 1948, called to a patient at Hundred’s Hall, an ominous setting housing a curious family. Faraday is plagued by mysterious occurrences, giving way to a mix of genres, from psychological thriller to horror. The film releases August 31st. Read more here. Read more about the production and Bonnie Wright’s journey into filmmaking here. Tom Felton recently appeared looking very dapper in a new #LeaveAsYouArrived British GQ magazine advert for Single Grain Scotch Whiskey, Haig Club. Watch the ad below, and read about his role in new YouTube sci-fi thriller series, Origin, here. LeakyCon 2018 special guest Ellie Darcey-Alden announced this week that she’s decided to pursue a career as an actress! Her role as Young Lily Potter in the Harry Potter series will hopefully stay at the front of her memories as she takes on new opportunities – we wish her the best of luck on her journey, and can’t wait to welcome her to LeakyCon! I am so excited to announce that next year I have decided to pursue a career as an actress. This has been my dream and my heartfelt passion since I can remember. High school was a tough mountain to climb; I am beyond excited to conquer the next one! That’s all for this week! Catch last week’s round-up here, and this week’s theater round-up here.